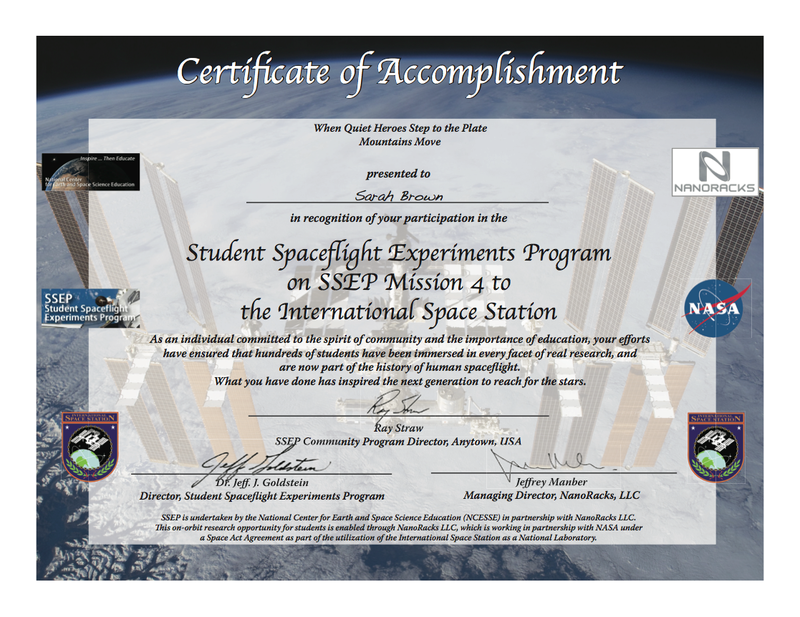 It is therefore with great pride that the Center, and its international arm, the Arthur C. Clarke Institute for Space Education, make available Certificates of Accomplishment for each of these groups. 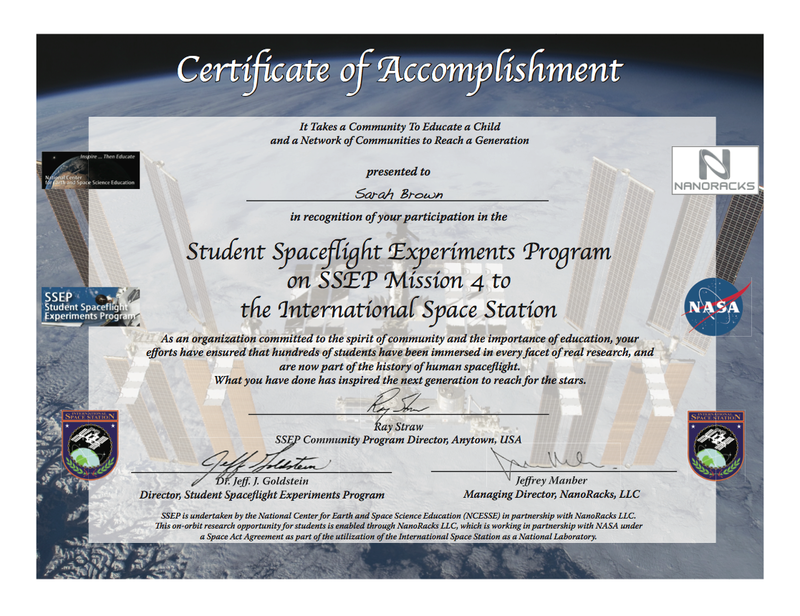 It is a special thank you to everyone that made SSEP possible for the thousands of students—we as a team—are inspiring to reach for the stars. The certificates are provided to the Community Program Director as a PDF file. They are ready to be printed and given to teachers and administrators, local partner organizations, and individuals that have participated in the program. 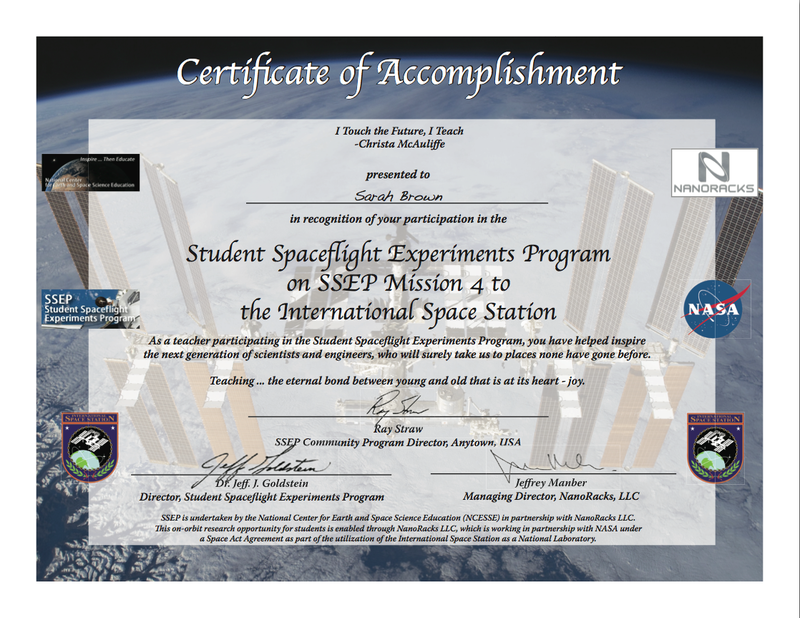 The certificates include imagery, logos, and ISS insignia, as well as electronic signatures for Dr. Jeff Goldstein, SSEP Director, and Jeffrey Manber, Managing Director of NanoRacks, LLC.